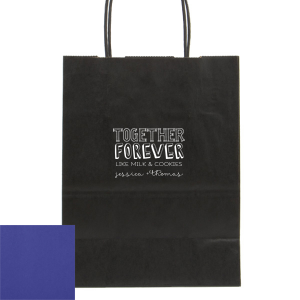 Custom gift bags featuring your personalized design are the best way to give party favors at your next celebration. 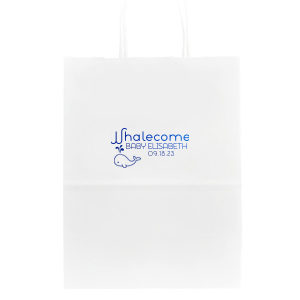 They can also be used for wedding favors and wedding welcome bags. 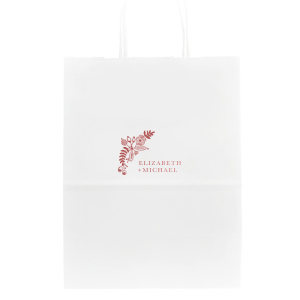 Browse our galleries of gift bags templates below, or create your own today! 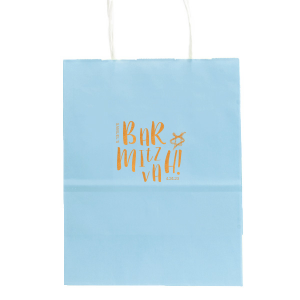 Give with a unique flair and create personalized gift bags through For Your Party. 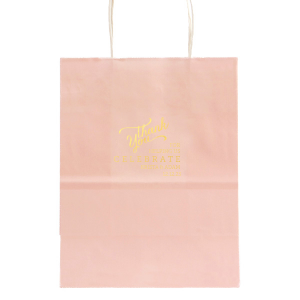 These paper gift bags are one of our larger bag options, making them perfect for larger party favors, birthday gifts and even wedding welcome bags. 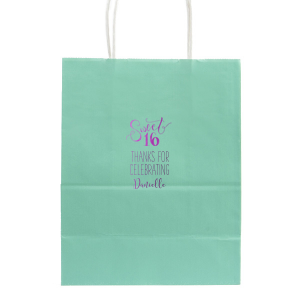 From kraft gift bags to tiffany blue gift bags, you can select your custom party favor bag color to coordinate with your party or wedding theme. If you're designing wedding welcome bags, consider a classic gold foil stamp or choose a shiny foil accent color from your wedding palette. Browse our designer created wedding bag styles and personalize your party favor bag by adding your new last name, monogram, wedding date and even the city in which your wedding is located. 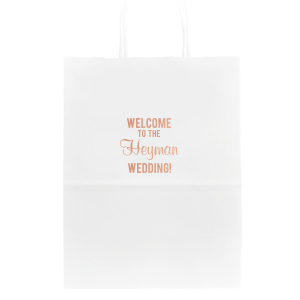 We love custom wedding welcome bags for travel and destination weddings! 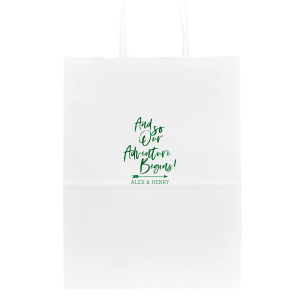 You can also start from scratch to create your own custom gift bag design with our fonts and graphics, or upload your own art for a totally unique look. 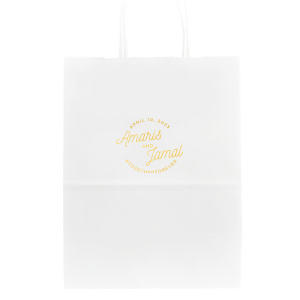 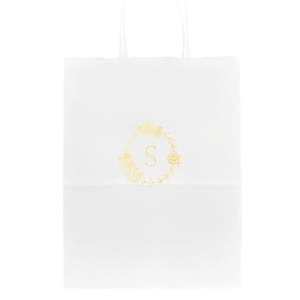 That's right, you can add your unique wedding logo on wedding bags to match the rest of your themed wedding dècor! 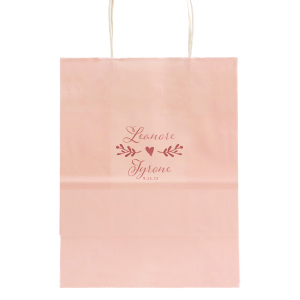 Custom gift bags are also fantastic options to give birthday gifts or even birthday party favors. Staying on top of your holiday gifts? 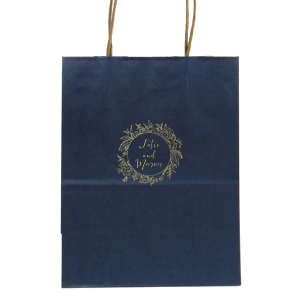 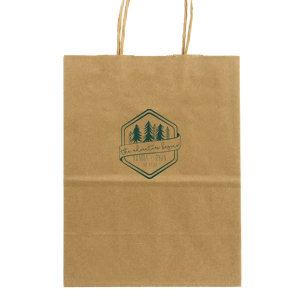 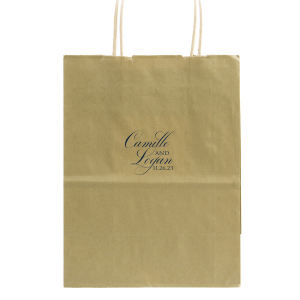 Order custom Christmas gift bags or custom printed gift bags for any holiday to have on hand. Each recipient will love your thoughtful touch on their personalized gift bags.